Western Adelaide. Hindmarsh covers suburbs along the coast to the west of the Adelaide CBD. 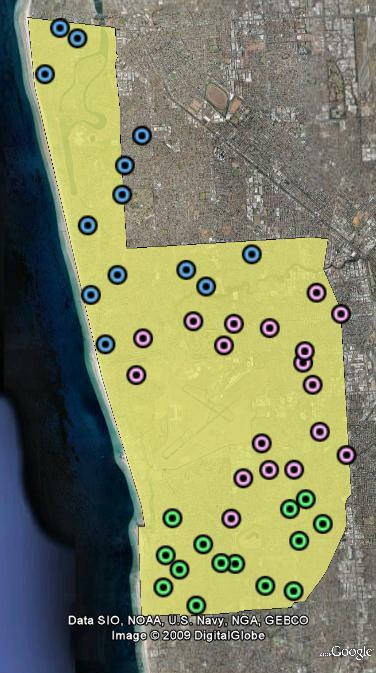 The seat covers parts of Charles Sturt, Holdfast Bay, Marion and West Torrens council areas. Hindmarsh is an original South Australian seat, having been created for the 1903 election. In that time, only once has the Labor Party lost the seat to an opposing politician. The seat was first held by James Hutchison of the ALP, who held the seat from 1903 to his death in 1909, and he was succeeded by William Archibald at the 1910 election. Archibald served in Andrew Fisher’s third government as Minister for Home Affairs. Archibald followed Prime Minister Billy Hughes out of the ALP in 1916 over conscription, and briefly served as a minister in Hughes’ National Labor minority government before he returned to the backbenches in the new Nationalist government. Archibald was reelected in 1917 before being defeated in 1919. After Labor won the seat back in 1919, they held it for the next 74 years continuously. The seat was won in 1919 by Norman Makin, who went on to serve as Speaker during the Scullin government and as a minister under Curtin and Chifley, before leaving Parliament in 1946 to serve as Ambassador to the United States. Albert Thompson won the seat in 1946, and held it for one term before moving to the new seat of Port Adelaide. Hindmarsh was won in 1949 by Clyde Cameron, who was a major figure in the ALP during the long years of opposition of the 1950s and 1960s, serving as Deputy Leader and a leading figure in the Left of the party. He served in the Whitlam ministry from 1972 to 1975 and continued as an opposition backbencher until his retirement in 1980. The seat was held by John Scott from 1980 until his retirement in 1993. The 1993 election saw the neighbouring marginal Liberal seat of Hawker abolished, and sitting Member for Hawker Christine Gallus won Hindmarsh off the ALP. This was the only time the ALP had lost the seat to another party in ninety years. Gallus served as a Shadow Minister in the last term of the Keating government and served in the Howard government as a Parliamentary Secretary in the early 2000s before retiring in 2004. In the election to succeed her, Steve Georganas of the ALP defeated Simon Birmingham by only 108 votes. A swing of 5% to the ALP saw Georganas comfortably re-elected in 2007. Steve Georganas (Labor) – Member for Hindmarsh since 2004. Georganas has now held the seat for two terms and solidified his margin in 2007. Short of a major swing against the ALP they should hold this seat in 2010. I have divided booths in Hindmarsh according to local government area. The northern parts of the seat lie in Charles Sturt LGA, while the centre part of the seat lies in West Torrens LGA. 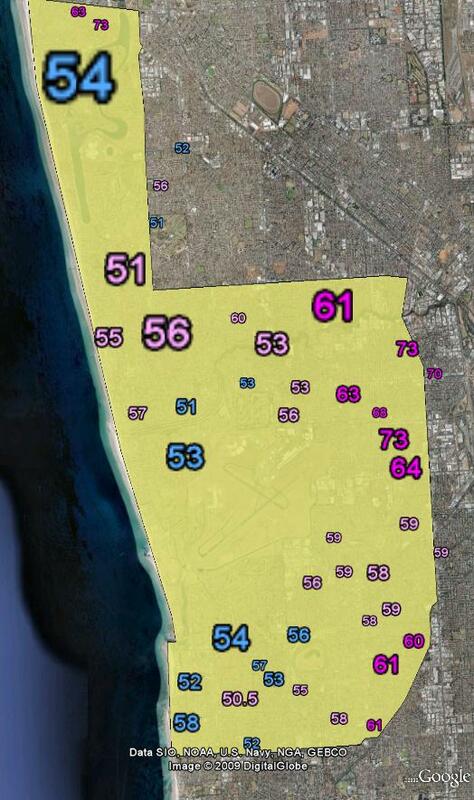 The southern parts of the seat are divided between Marion and Holdfast Bay LGAs. Booths in Charles Sturt LGA shown in blue, booths in West Torrens shown in pink and booths in Marion and Holdfast Bay shown in green. According to PB the Liberal candidate is Jasmine Wood. Incidentally the Greens candidate here is Matt Fisher, although there’s not much on his website profile yet. My prediction: Labor retain, maybe a 1% swing to them.